We welcome everyone to come along to our church to share in our worship and other activities. Services begin on Sundays at 10.30 unless otherwise stated. The church is also open for prayer before each morning service. 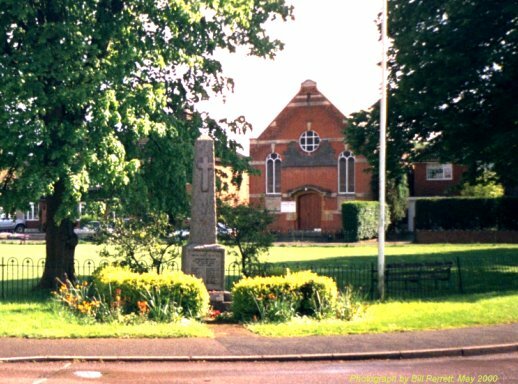 Our church is one of 18 in the Vale of Aylesbury Methodist Circuit, whose website can be accessed via the link on the right. I have never really been a clean freak but I do like things to be tidy; although I am a little obsessed with Zoflora if I’m honest. I think I inherited that from my mum, who we tease and call “The Bleach Queen”. Over the last 6 months or so I think there has been a bit of an excitement around cleaning amongst mums, first there was Mrs Hinch and now Marie Kondo is taking things further on Netflix. For those of you who have yet to come across her, Marie Kondo is a Japanese tidying and decluttering expert who has made millions by encouraging us to find joy and peace in cleaning and organising our homes. Amongst her tips is her advice on storing clothes upright (life changing by the way) and instructing her followers to take all items of one category and pile them in a heap before holding each and determining whether it sparks joy. But it was her advice to thank each piece you choose not to keep that got me thinking. I’m yet to convince my family of the wisdom of thanking an outgrown jumper for what it’s given them before folding it carefully into the charity bag, but I have started to apply the logic to things in my life beyond my jumpers and much loved dressing gown. When I see myself as good at one thing and bad at another, am I hanging on to a version of myself that has served its time and now needs to be laid gently aside with thanks for all it has achieved? When I hold on to particular methods or routines or tasks, am I doing so because they are life giving and necessary or because they’re simply what I have always done? What might emerge if I let myself say goodbye to some things and create a space and time for something new? All those questions are quite seasonal, especially during Lent. At its best, Lent is a chance to simplify life for a time, to remove the distractions that stop us seeing what really matters. The aim is not just self-restraint for its own sake, but rather in order to help us see what we usually miss and give us the time and space to draw closer to God. This Lent for me will involve a bit of internal Marie Kondo-ing, a time to think about what is joy giving and make sure that isn’t squeezed out and a time to think about what is just clutter, pulling me from what I really want to be. Perhaps even if the house is still a work in progress, I’ll be a bit more ready to celebrate Easter because of it. For all parents/carers of per-school children and babies, join us in the Chapel schoolroom on Monday mornings 9.15 – 11.00 during term time for a gentle start to the week. There are toys, activities and refreshments (including toast!) and a warm welcome. Tel Nicola 662010 or Janet 660205 for more information. OPEN DOORS – Friday morning 10.30 a.m – noon at the Methodist Chapel. This is an opportunity for village people to meet/socialise each Friday morning and have a cup of tea/coffee and a biscuit/cake. Contact Jeanne 662876 for more information. For those people with hearing aids, we have an induction loop system installed and working in the chapel. Schoolroom Bookings: For all enquiries, please contact Janet Banham, Tel. 660205 or email .